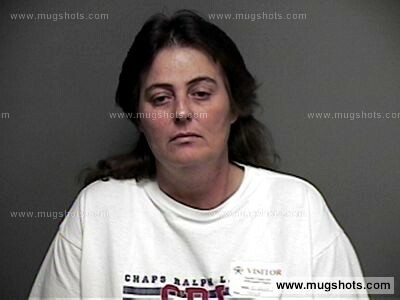 In 2012, Brenda Miles Bratschi of Columbia, SC was convicted of the 2004 murder of her estranged husband, Randy Bratschi. The Bratschi’s lived in a mobile home where the defendant allegedly buried her husband’s body under the home, leaving new owners of the property to find the skeletal remains five years later. According to a news report at SCNow.com, Randy’s remains were found wrapped in a tarp in a shallow grave. In November of 2004 the couple allegedly had a violent altercation before Randy Bratschi mysteriously disappeared. The couple was involved in a domestic dispute about six weeks prior to the victim’s disappearance in which Brenda reportedly beat her husband with a wooden tire thumper. He was severely injured at that time, and his wife arrested on charges of assault and battery with intent to kill. She was also served a restraining order at that time. According to the state’s case, the defendant attacked her estranged husband because she feared he was about to learn she had been withdrawing large sums of money from his bank account. Prior to the disappearance of Randy, the defendant is said to have violated the restraining order on two occasions. Randy Bratschi’s Isuzu was found abandoned by investigators in November of 2004 at Bluff Landing, where police and several hunters claimed that the vehicle had been sitting since November 26. No clues regarding the victim’s whereabouts were found in either the vehicle or the residence by investigators. Bratschi was ultimately convicted of murder and burying a body without notice, and sentenced to life in prison. She appealed the conviction, arguing that the trial court failed to give her a directed verdict, and that evidence of how, when, or where the victim was killed was not presented by the state. The South Carolina Court of Appeals disagreed with Bratschi’s arguments, stating that the fact the State could not conclusively show the defendant was at the crime scene at the relevant time does not require a directed verdict. The court also said that unfair prejudice refers to evidence that tends to suggest decision on an improper basis, rather than damage to a defendant’s case that results from the legitimate probative force of the evidence. Her appeal was denied. Michigan criminal appeals attorneys understand that successfully appealing a conviction is extremely difficult. In fact, it is quite rare than an appeals court overturns or “throws out” a conviction. In order to have the greatest chance of success, it is critical to have a quality defense lawyer who is skilled and experienced in the complex appeals process. If you have been wrongly convicted or feel that errors were made during the criminal justice process that may have impacted the outcome, consult with a capable Michigan criminal appeals lawyer who will review your case to help determine whether you have strong grounds to appeal.